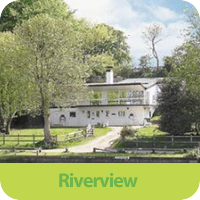 All of our properties are located in prestigious locations around Norfolk including Riverview, located on the riverbank of the Yare. A stay at one of our Exclusive Norfolk Holiday Cottages is a feel of exclusivity. Unlike a hotel, you hire the house and grounds in its entirety and they are yours for the duration of your stay. Whether you are planning a private celebration or a Short Break in Norfolk, we provide versatile and luxurious accommodation. Your reservation will be managed by our experienced team and the focus is always on achieving your vision of the perfect holiday or special occasion. Delivering the highest standards of client service and attention to detail, we will always go that extra mile to satisfy our customers, so why not get in contact today and let us accommodate your every need, for your personalized holiday experience. All of our properties are an ideal choice for couples, families and larger groups with features such as twin rooms and cots. Certain properties also have videos, toys and board games for you to use. River View is detached with commanding views of the River Yare in beautiful Norfolk, with its own private mooring for a guest's boat, perfect for a short break in Norfolk.